Oral arguments take place Friday over an appeal of the Freedom From Religion Foundation’s court victory regarding a cross on a Pennsylvania county seal. FFRF, a national state/church watchdog, and four individual plaintiffs won in district court last September when the judge found that the Lehigh County seal, featuring a prominent cross, was unconstitutional. Now, arguments on Friday, Sept. 7, before the 3rd U.S. Circuit Court of Appeals in Philadelphia will be heard in the county’s appeal. The county’s appeal to the 3rd Circuit argues that the Supreme Court's Lemon test should not be applied to this case and that numerous seals and flags from other state and municipal governments demonstrate an “unambiguous and unbroken” history of official usage of religious symbols. 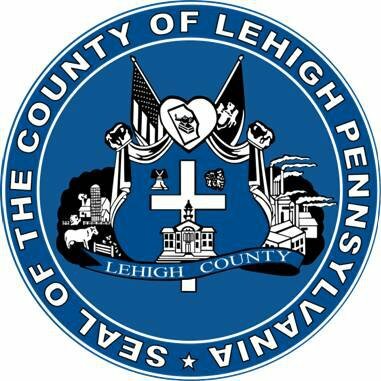 FFRF’s appellate brief highlights the bedrock constitutional principles that the Christian seal violates and the fact that the seal with a Latin cross is the symbol of Lehigh County government. “Given the record in this case, the court must conclude what any reasonable observer would: The county has a religious purpose for maintaining the county seal, just as it did when it designed the seal 70 years ago,” the brief states. The brief lists numerous court rulings against crosses on governmental property and seals. The district judge’s ruling supports FFRF’s contention. “The undisputed facts demonstrate that the county's original purpose for including a cross on the seal is not secular,” Judge Edward G. Smith ruled. The federal lawsuit was filed in August 2016 in the U.S. District Court for the Eastern District of Pennsylvania. Co-plaintiffs with FFRF are four of its local members who’ve objected to encountering the religious symbol on county property. The seal is on documents, letterhead, many official county forms and reports, the county’s website, in a display in the Board of Commissioners meeting room and even on flags displayed prominently at the entrance of county buildings. The board adopted the imagery that appears on the seal in 1944. Allentown, the third-largest city in Pennsylvania, is located in Lehigh County, with a population of about 350,000. The litigation is being handled by Marcus B. Schneider of Pittsburgh, with assistance from FFRF Attorneys Patrick Elliott and Elizabeth Cavell. FFRF warmly thanks its four local plaintiffs who made possible the lawsuit: John Berry, Stephen Meholic, David Simpson, and Candace Winkler. The Freedom From Religion Foundation is a national organization dedicated to the separation of state and church, with more than 32,000 nonreligious members and chapters all over the country, including 900-plus and a chapter in Pennsylvania.